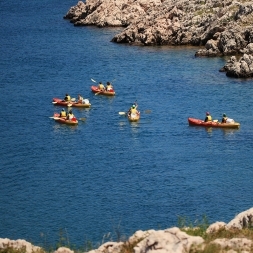 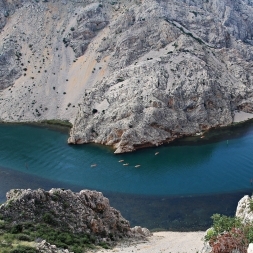 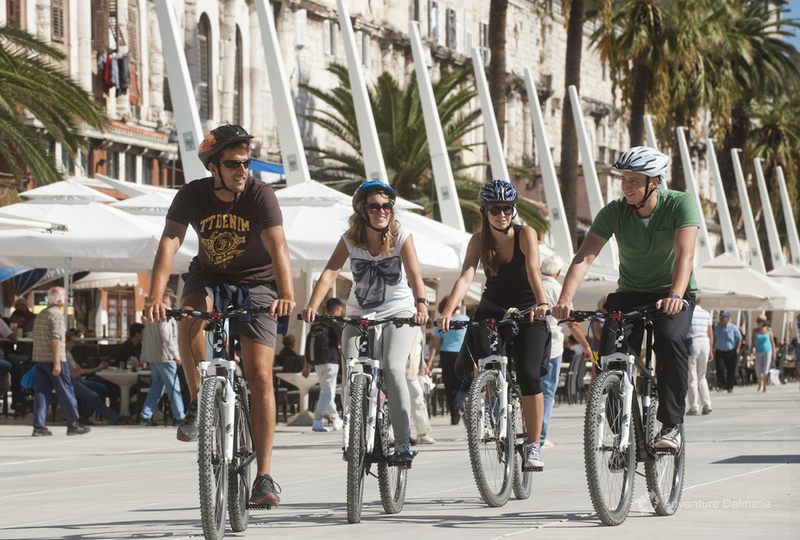 We are taking you to an attractive and still unusual sightseeing tour of Split. 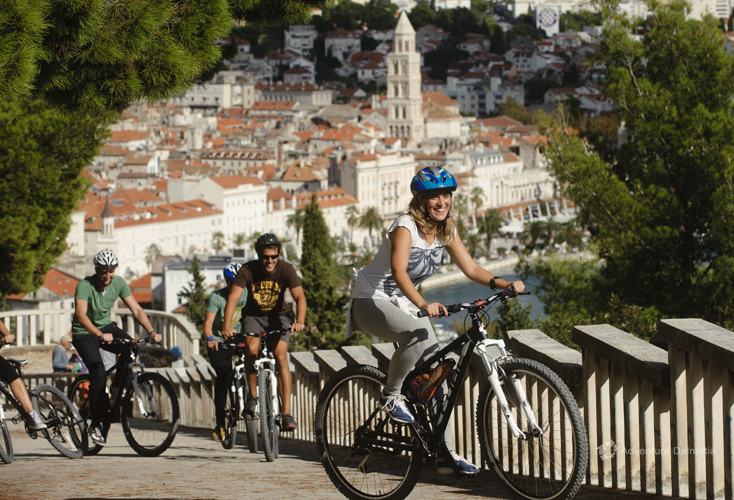 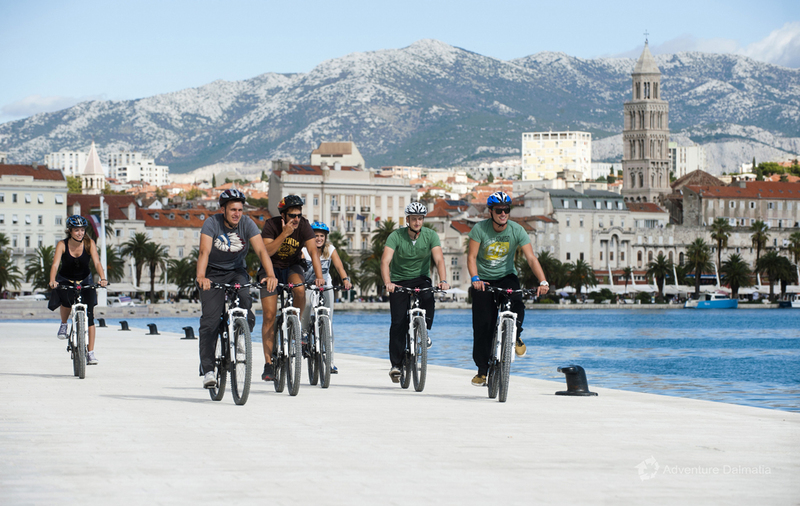 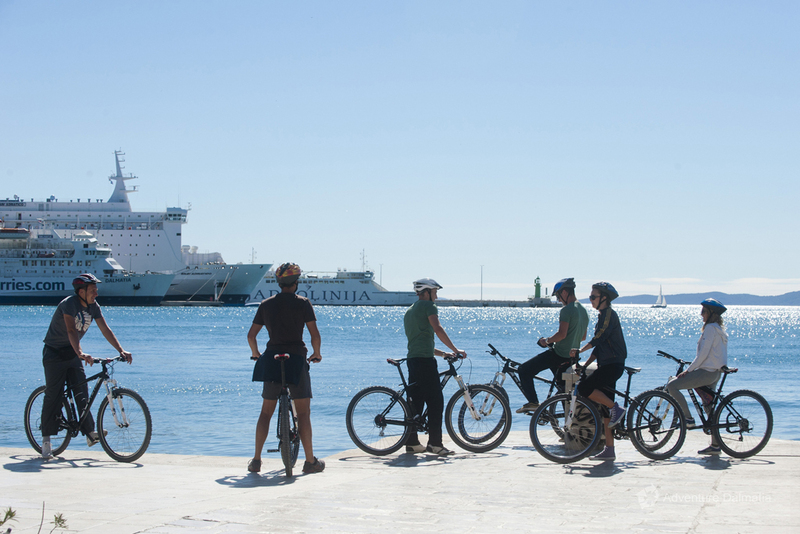 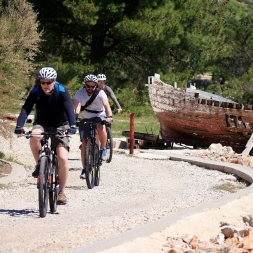 Cycling takes place by the sea almost through the entire trip while we visit the Split bays, beaches and harbors, the Diocletian’s palace and the park-forest Marjan. 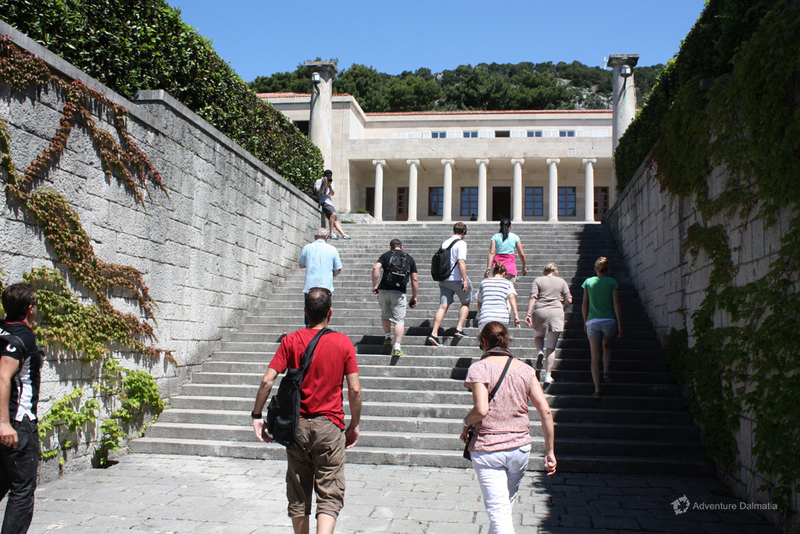 Given the many opportunities the city has to offer, the trip can be enriched with a variety of activities such as visiting a museum, a tour of the palace, swimming or having lunch or dinner. 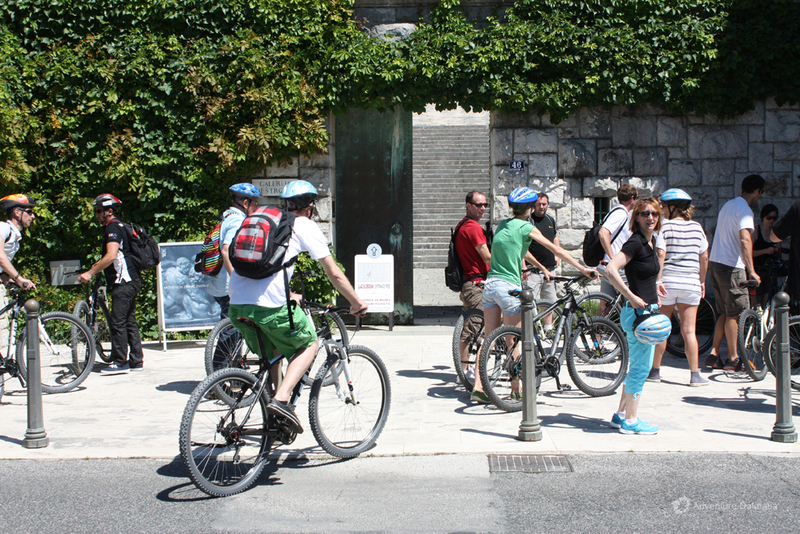 Onsite facilities: Toilet facilities are available on Bene bay (somewhere in the middle of the tour). 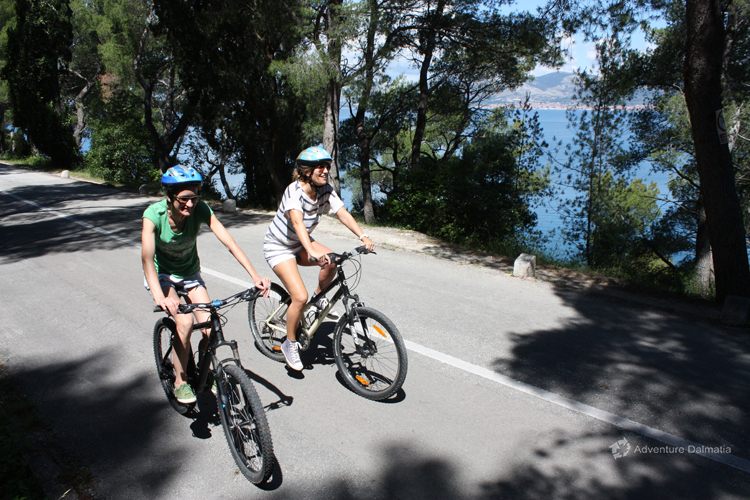 Availability: Every day during the whole year. 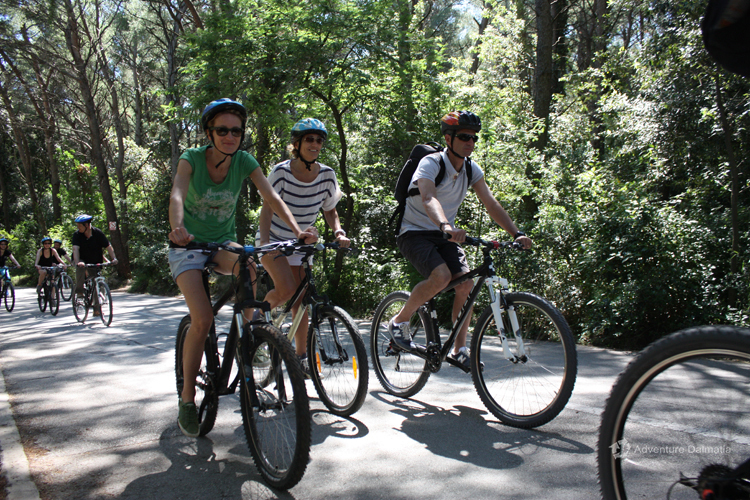 You must book your place on the tour at least one day before the trip by e-mail, message or in person so we can give you the exact meeting point and time of departure as well as the number of places available on each tour. 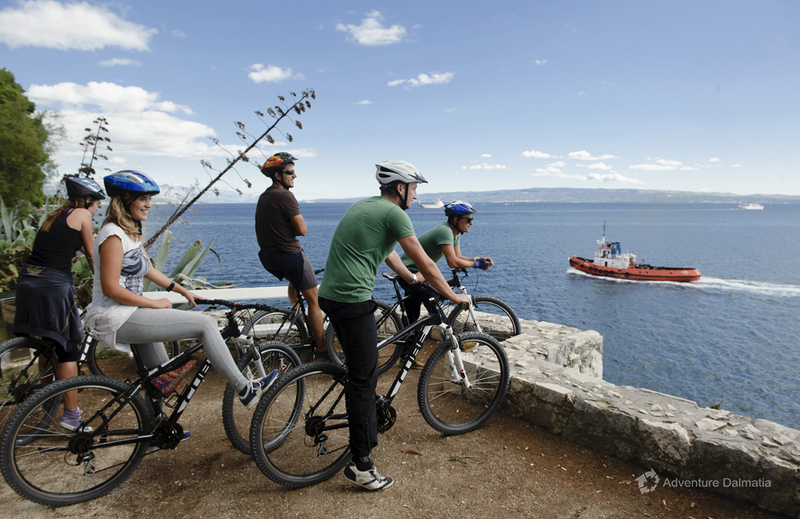 Biking tour departure times: Morning and afternoon, depending on the season. 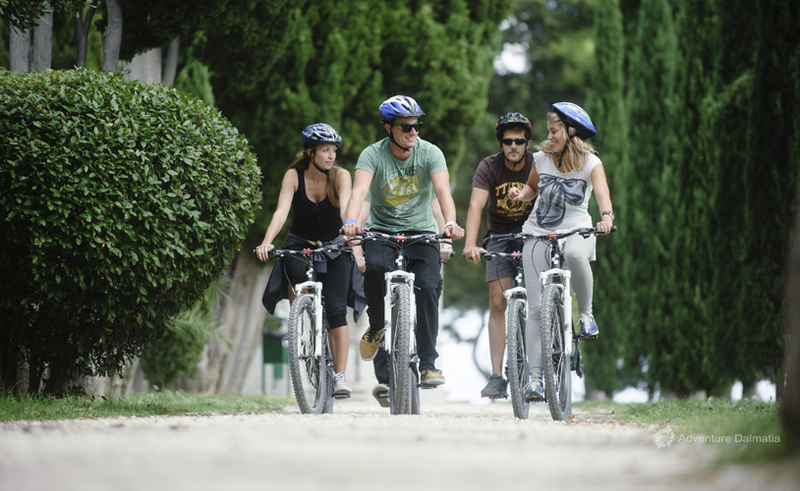 The price includes: Cube Aim bicycles, helmets, insurance, guide assistance. 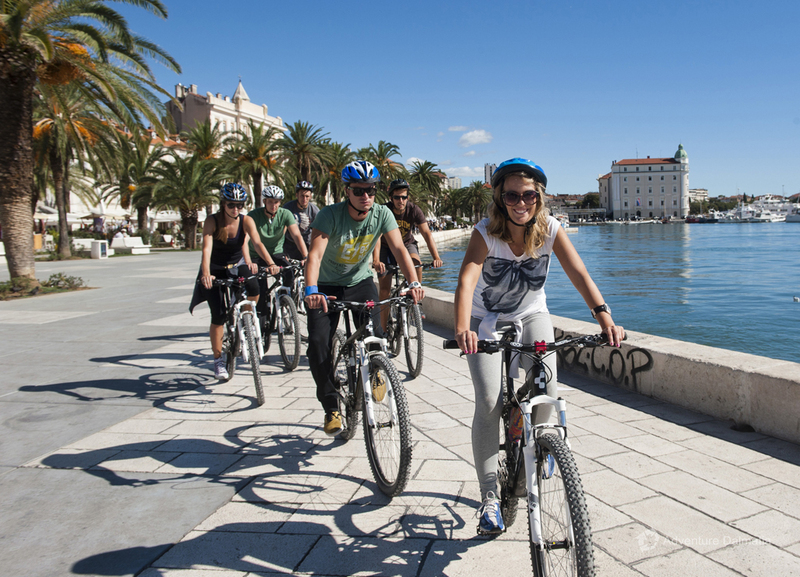 Entrance to the substructure of Diocletian's palace from the sea side.